“Mrs. McCullough!” Andy shouted my name today during lunch, as if the room had ignited into flames. Andy was not very receptive. “No, no!” He shouted. So, I decided to entertain Andy’s history lesson as I squeezed a little mustard onto my school lunch: hot dog on a whole wheat bun (Thanks Michelle Obama!). I said to him, “Okay, who is the best crossover dribbler of all time?” Without hesitation, he uttered, “Jamal Crawford!” Suddenly, I felt like I had just been driven up to the door at the local nursing home. I tried to conceal my ignorance, but I had no choice but to ask, “Who is THAT?” The look of shock on his face preceded the response, “See, Mrs. McCullough, THAT’S what I’m talking about! Now you have to stay current!” After viewing a short display of Crawford’s moves on YouTube, I admitted to Andy that the guy does indeed have game, but I told him that there was one greater. He instantly demanded that I tell him who that could possibly be. I looked at him squarely, and with a straight face, I said, “The one who originally perfected the move, Tim Hardaway.” Andy erupted like a volcano! I could have sworn I saw veins protruding from his forehead at this point. Some other staff members began to drop by and we asked them the same question. Unanimously, they all said, “Tim Hardaway.” I thought Andy was going to have a meltdown. He quickly leveled the playing field. Then, I had to change my strategy. I agreed that Iverson was lethal with the basketball, and perhaps one of the quickest guards in NBA history, but Hardaway was an intricate part of the platform upon which A.I. built his game. So, I asked the one question Andy loathes with every essence of his being. “You keep saying ‘better’, but the real question is, “WHO HAS HAD THE BIGGEST IMPACT ON THE GAME, IN HIS TIME?” He shook his head in disgust. I went on to say, don’t worry about it. I’m gonna blog about it. We’ll let the people decide!” I do bear in mind, that age will definitely impact the outcome of this poll, but I’m curious to know what basketball fans really think. Answer the following poll questions with regards to each player, post retirement. At this point, you’re probably wondering, “What’s the significance of the title of this post?” The scientist in me is dying to tell you that the theory of evolution isn’t just about monkeys and finches! Charles Darwin would probably add the NBA to his list of evidences of evolution if he were still alive today. I don’t believe modern players are necessarily better than those from the past. Each generation has simply evolved to become stronger, bigger, faster, and quicker decision makers in order to adapt to the present day levels of competition. Hence, survival of the fittest. Only the strong survive. The one question we’ll never know the answer to is whether current players could out perform former players, provided that they were the same age. We can speculate, but there will never be tangible evidence that one would defeat the other. The one thing I desperately want young people to realize, is that one day, their children will say the same things about Lebron and Kobe that they are saying about Magic and Jordan now. Further, let’s consider this for argument’s sake. Evolution has also occurred in the entertainment industry. I think we can all agree that Usher, Chris Brown, and Ne-Yo, are all OUTSTANDING DANCERS. I’d go as far as to say that physiologically, they each have the ability to push their bodies further an anyone else in the entertainment industry ever has. However, I am not willing to proclaim that they are “better” dancers than the late, great, MICHAEL JACKSON! Never! That’s preposterous! Blasphemous, even! 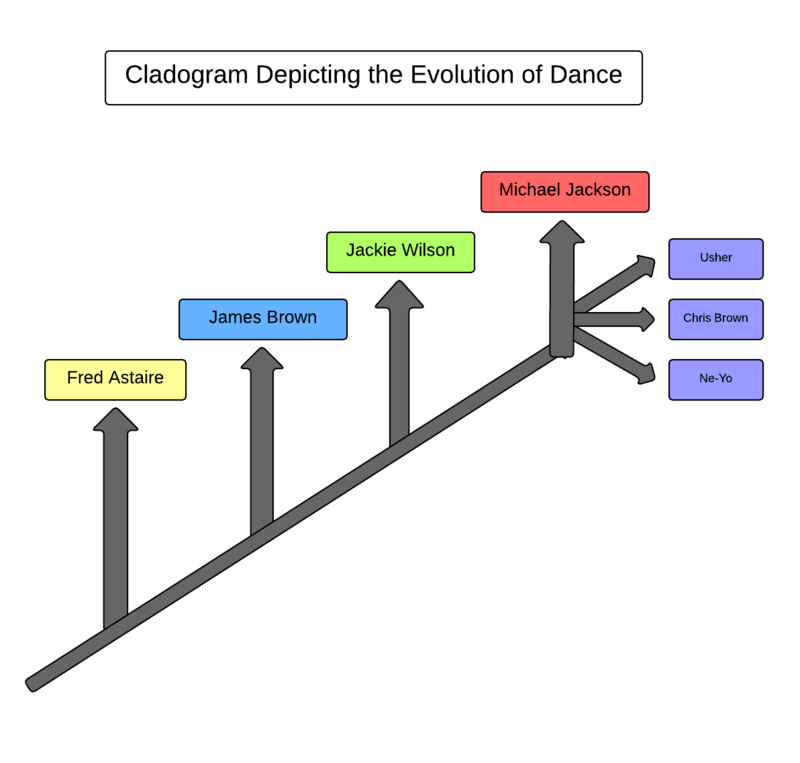 Just know, that someone was thinking in the same manner when Michael’s moves began to rival those of Fred Astaire, James Brown and Jackie Wilson. Music videos have come a long way, but none today have had the impact that the Thriller video had on MTV the black community America THE WORLD! I can’t wait until my students enter their mid thirties. I would love to hear how history has repeated itself from their perspectives. In the meantime, thanks again Andy.